If the only wrap you’ve been having lately is a BLT, give yourself some TLC with a fabulous detox wrap. The detox wrap we offer is just fantastic. Not only is it beneficial for your skin and overall health, but it is a deeply relaxing treatment. Here’s everything you need to know about detox wraps and the ELEMIS Thousand Flower Detox Wrap that we offer here at Bodhi Tree Spa. What is a detox wrap? With a detox wrap, a wonderful body mask will be applied to your body and then you will be wrapped up for about 20 minutes allowing your skin to absorb it. A detox wrap will be filled with ingredients that release impurities and stimulate your circulation. You will feel some heat and some light perspiration too. This helps remove toxins and introduces vitamins and minerals into the body to promote health and healing. The wrap will be given in such a way that you will feel peaceful and relaxed. There will be nothing to do but to lie down and chill out with some soothing music and gorgeous aromas. There are many kinds of body wraps. Some body wraps are aimed at weight loss, others at body contouring and others treat skin conditions. A detox wrap is mainly aimed at removing toxins, but you’re definitely going to get some of the above benefits too. The number one benefit related to reducing toxins in the body is that your energy will increase and you will feel great. All body wraps are intensely moisturising for your skin too, so it’s an excellent treatment if you want smoother, firmer and healthier looking skin. 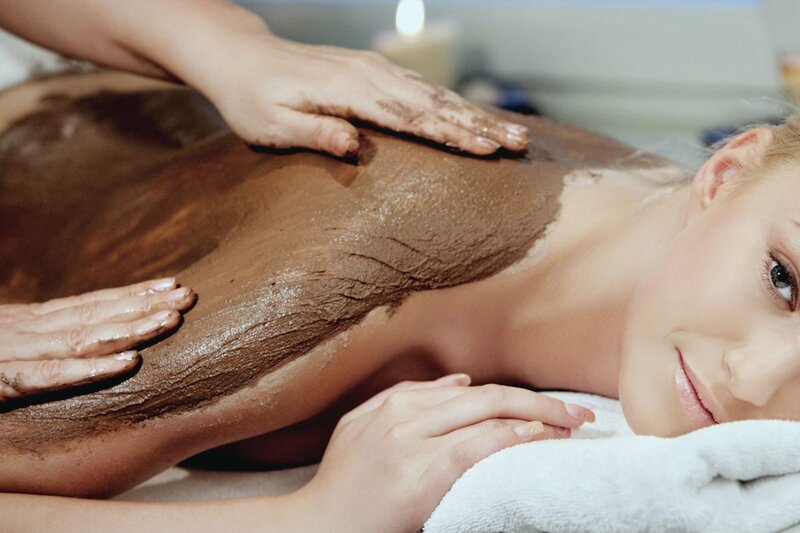 Detox wraps stimulate the lymphatic system of the body to remove toxins and fatty acids. The lymphatic system is a network of tissues and organs that help rid the body of toxins, waste and other unwanted materials. The bad stuff is released into the bloodstream and removed from the body as waste. This process means that it’s very highly recommended to take it easy afterwards for about 48 hours. Drink plenty of water, avoid junk food, coffee and alcohol for a while and let the detox wrap work its magic. tightens, softens, exfoliates and firms the skin. A gentle body brush is used on your skin prior to the application of the omega-rich Green Tea Oil. Dry skin brushing helps shed dead skin cells and encourages new cell renewal which results in smoother and brighter skin. It also assists in improving blood circulation and lymphatic drainage. The thousand flowers, vitamin-packed, super nutritious earth wrap is the main act. This body mask is enriched by Somerset soil which is literally packed with tree, flower and grass-rich nutrients. ELEMIS call this awesome detox product a ‘plant humus.’ and we love that! This plant humus contains meadow, shoreline and woodland plants, plus rejuvenating plant extracts. The minute pollen grains that fall within the soil means that its rich in vitamin B, with a natural acidity that helps stimulate the skin. It has superior anti-oxidant and moisturising properties. The trace elements and phytochemicals also encourage beneficial micro-flora to leave the skin toned and detoxified. What more can we say about it, other than it’s amazing! The treatment ends with a green tea seed balm application all over your body. Green tea balm is rich in minerals and omegas – the superfoods of the skin. This treatment will leave your skin feeling smooth for days afterwards. High in Vitamin E, Omega 9 and fatty acids, anti-oxidants and healing oils, the ingredients of the balm make sure your skin is calm, nourished and protected. Drink plenty of water before and after application of the wrap to help flush the toxins from your body. After the treatment, avoid coffee, alcohol, and spicy foods for the next couple of days. This will mean you get the most from this incredible treatment. Give your lymphatic system some TLC and ditch the BLTs and G&Ts just for a while. Wrap yourself in superfood!